Areas of the Eastview Unit of the Boys and Girls Club are available to rent to teams, organizations, schools and the general public. Contact the club for more information and availability. Children 6 years and younger must be accompanied by a parent or guardian who is at least 14 years of age, with a maximum of two children for each parent or guardian. This person is responsible for the direct supervision of the children. Children 7-9 years who are non-swimmers must be accompanied by a parent or guardian who is at least 14 years of age, with a maximum of four children for each parent or guardian. This person is responsible for the direct supervision of the children. 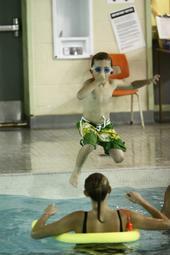 Children 7-9 years who are able to pass the facility swim test may be admitted to the pool unaccompanied. This room is equipped with tables and chairs, ping pong, pool and air hockey tables, TV and selected board games. The gym is equipped for basketball, ball hockey, soccer, volleyball and many other activities.